BAGUIO CITY The grant of autonomous status to the Cordillera is the nation government’s way of rewarding the region for its excellent performance in administering its affairs even in an administrative status, Socio-Economic Planning Secretary Ernesto Pernia said here Wednesday. Pernia, who was the guest during the Cordillera Stakeholders’ Forum on Autonomy, pointed that as administrative region, the Cordillera was able to show that it could effectively and efficiently manage its affairs when it almost doubled the country’s economic growth in 2017 when it registered a staggering 12.1 percent increase in the gross regional domestic product (GRDP) compared to the average 6.7 percent growth in the national scene. Further, the region’s 3.8 percent inflation is much lower than the national average of 5.2 percent in the same year while its 31. Percent inflation in January this year is again lower than the 4.4 percent inflation rate in the national scene. He added that for 2018, although most of the figures are not still available to date, the Cordillera has actually performed above par which is an indication that it could effectively and efficiently manage its existence with the grant of autonomy because it was able to perform well in an administrative status. 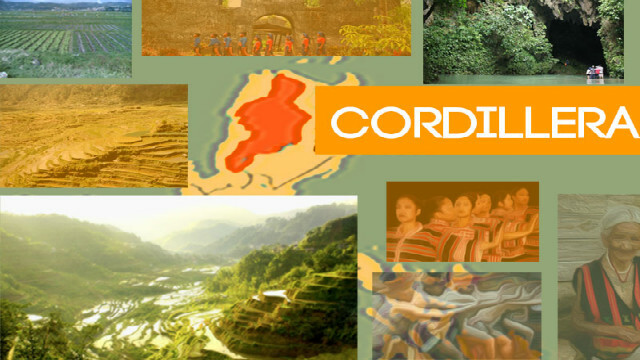 “By all indications, the Cordillera was able to show that it could effectively and efficiently manage its affairs when granted the autonomous status. The region deserves to be rewarded with autonomy because it was able to perform well in an administrative status,” Secretary Pernia stressed. The National Economic Development Authority (NEDA) chief admitted that one of the obstacles that the region has encountered in advancing the proposed autonomy bills in both chambers of Congress is the lack of the needed push that will convince lawmakers to act on the long overdue bills establishing the autonomous region in the Cordillera aside from the fact that Cordillerans should be united in aggressively pushing for the enactment of the autonomy law amidst the issues raised against the rejection of the two autonomy laws during earlier plebiscites. He stated that the success of the Bangsamoro Organic Law (BOL) will serve as an added boost for Cordillerans to sustain the gains of the advocacy on autonomy and elevate the matter to the national scene to convince lawmakers to act on the matter not only in the 17th Congress but also in the 18 Congress. Secretary Pernia assured Cordillera stakeholders that as head of the secretariat of the Legislative Executive Development Advisory Committee (LEDAC), which prioritizes the important bills that should be acted upon by both chambers, the NEDA will include the proposed autonomy bills in the agenda of the body during its upcoming meetings, thus, Cordillerans should make sure that the members of the House contingent will push for the inclusion of the bills in the priority measures that should be acted upon. According to him, the LEDAC is a huge body composed of representatives from both chambers of Congress and government agencies involved in the crafting of the priority legislative measures that needs immediate action to help in advancing the growth of the country’s economy. Earlier, the Regional Development Council (RDC) embarked on autonomy as an overarching agenda to ensure the faster pace of development in the region. Cordillera congress attempted to file the proposed autonomy law in the 15th, 16th and 17th Congress but the same did not hurdle the committee levels in both Houses. In the 17th Congress, all Cordillera lawmakers authored House Bill (HB) 5343 which seeks to establish the autonomous region in the Cordillera but it remained pending with the house committee on local government while Senate Bills 1678 authored by Senator Juan Miguel Zubiri, 1923 authored by Senator Joseph Victor Ejercito and 1930 authored by Senator Paulo Benigno Bam Aquino, which had the similar purpose, was not acted upon by the Senate committee on local government despite the commitment of Senator Juan Edgardo Angara, chairman of the committee, to act on the said matters when brought to his attention. Mayor Mauricio G. Domogan, who chairs the RDC-CAR and Regional Peace and Order Council (RPOC), expressed the gratitude of Cordillera stakeholders to Secretary Pernia for his commitment to support the advancement of the region’s quest for autonomy in the LEDAC which is considered a giant step in sustaining the gains of the region’s clamor for self-governance. He asserted that while the amendment of the 1987 Constitution is still in limbo, Cordillerans should already grab the opportunity provided in the fundamental law of the land to achieve autonomy before the said provision will be scrapped in the amendments that will be done. Domogan warned the stakeholders to scrutinize the contents of the House version of the amendments to the Constitution which proposed to remove the provisions allowing the establishment of the autonomous regions in the Cordillera and Mindanao which is contrary to the provisions of the Constitutional Committee created by President Rodrigo Duterte to study the possible revisions to the Charter that recommended for the adoption of similar provisions to that of the 1987 Constitution. According to him, there are some Cordillera lawmakers, who are authors of HB 5343 that seeks to establish the autonomous region in the Cordillera, who did not vote in favour of the adoption of the ConCom report but instead voted for the House version that will result to the eventual dismantling of the Cordillera region which casts doubts on their sincerity to advance the pending autonomy law.